In this tutorial you’ll see some more advance features of facebook page application development. Facebook page application development now become very easy as Facebook added iframe supports recently. Checkout the following tutorial to learn more. 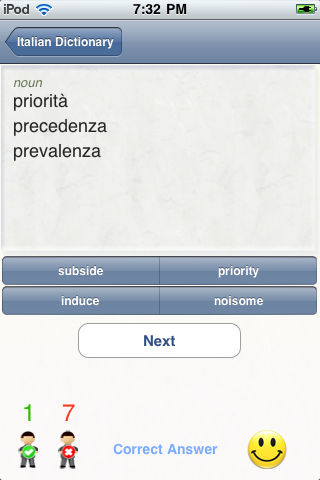 English to Italian Dictionary is composed of most common and concise English words and corresponding Italian explanations. It has up-to-date and accessible information on the core vocabulary of current English and related terms. It has clear layout and most accurate definitions. 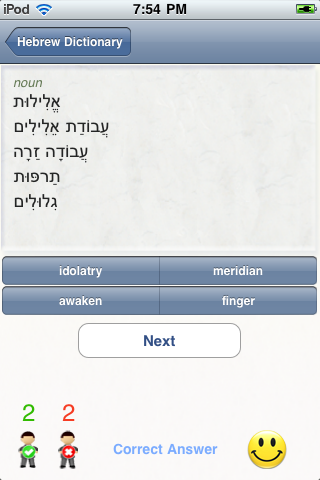 This is not only a dictionary but also a vocabulary builder application that will help you to learn new words each day. 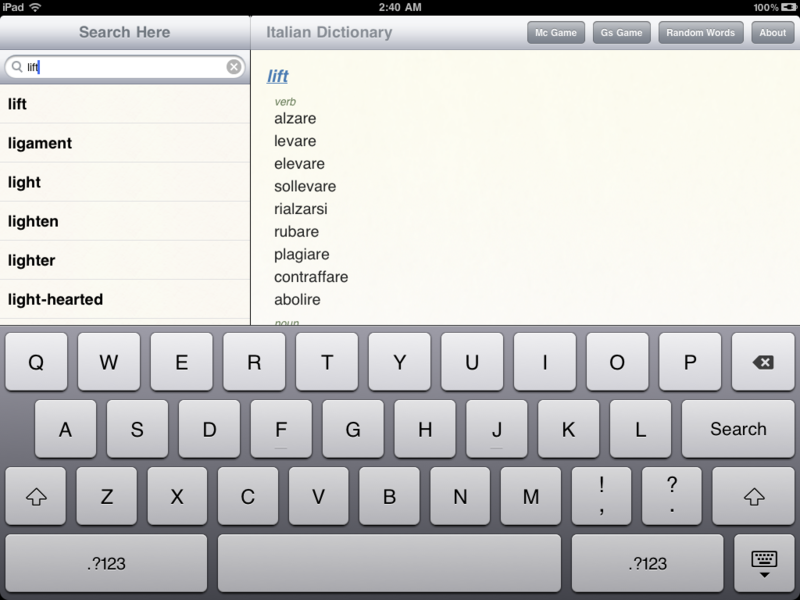 So in iPad version there are 3 different ways to learn words. By using random words you can see random words to learn. In Guess Word game we will show you an explanation and you’ve to guess the correct word. In Multiple Choice game you’ll see 10 explanations and for each explanation you’ll see 4 answers. Among 4 answers you’ve to select 1 correct answer. 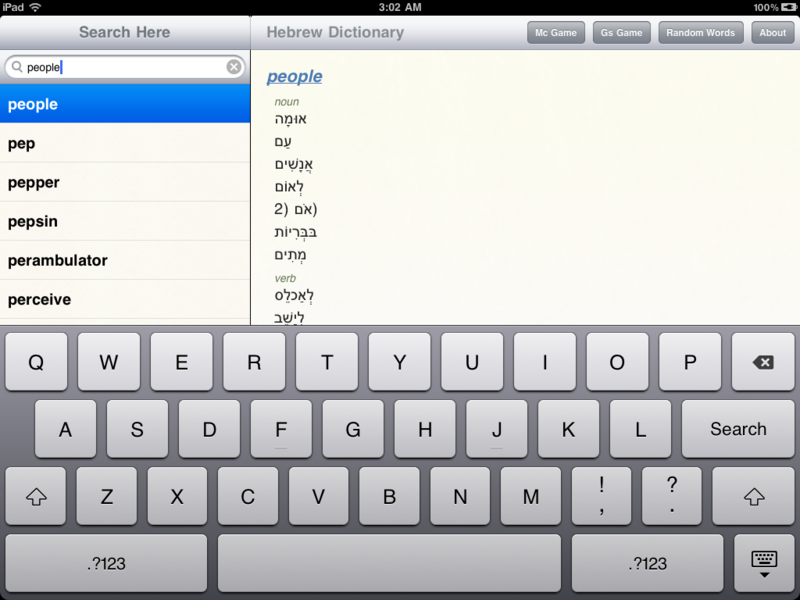 For Other language iPhone/iPad dictionaries visit here. 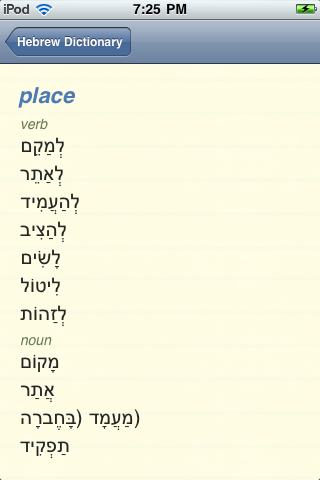 English to Hebrew Dictionary is composed of most common and concise English words and corresponding Hebrew explanations.